Inspired by the purity of modern architecture, its parallel lines go on forever, as limitless as your ideas. Superior craftsmanship and contemporary style are fused to produce the Waterman Perspective Ballpoint Pen. 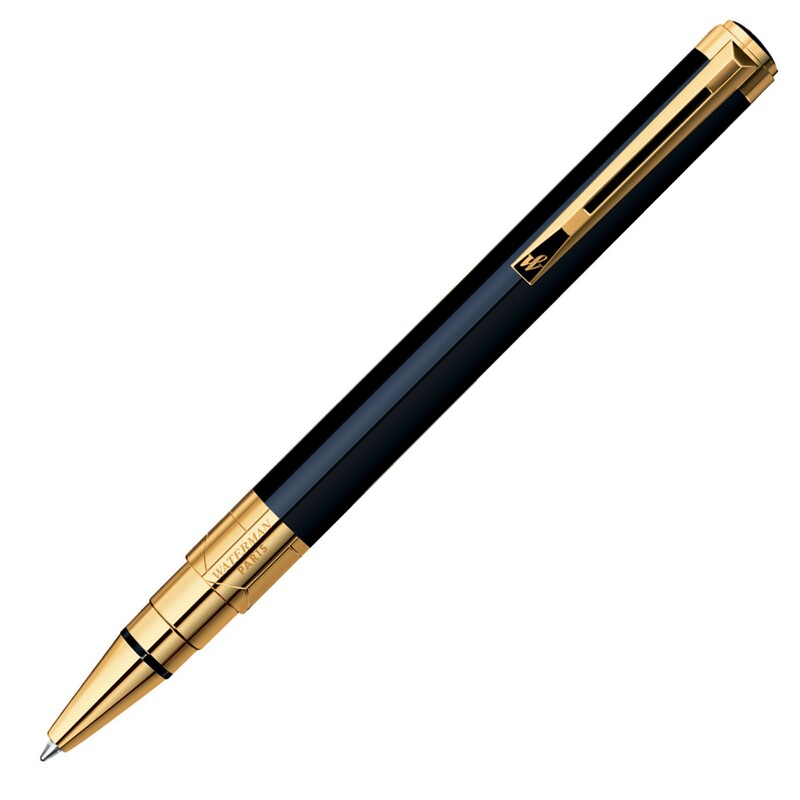 The twist action, retractable ballpoint delivers smoothest blue ink, confirming the classical qualities of this black promotional pen with gold trim. 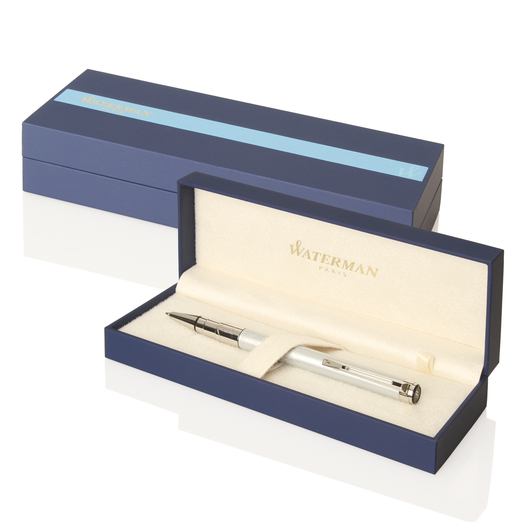 Personalise or brand with gold laser engrave or print your logo, either way the result will be an exclusive, professional corporate gift.